A weekend long immersion in Nature Photography with two professional photographers. The Mid Cascade Mountains and the High Desert Canyons near the resort town of Bend, Oregon provide a stunning backdrop to our search for the perfect light. 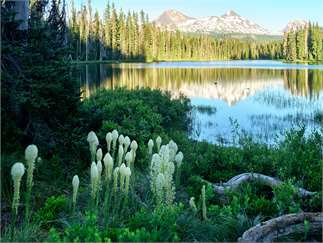 We visit and photograph broad vistas of basalt rimmed canyons, rushing waterfalls and rivers in deep green forests and will do our best to capture the famed peaks of the Cascade Range reflected in our mountain lakes here. Kevin and Christian will present their vision of Travel and Nature Photography and provide insights and tips for better photos.